UISG’s fall 2018 progress report details legislation and initiatives made by UISG. Voter registration, election reform, and student relations were among the highlights. A speaker addresses members of UISG at the IMU on September 25, 2018. 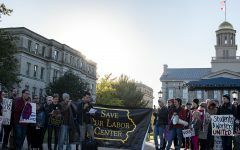 UI Student Government has released its fall 2018 progress report, which details the work of eight UISG committees during the fall semester. The report was released Jan. 30. UISG has released the statements since 2015 to highlight accomplishments made in each semester. 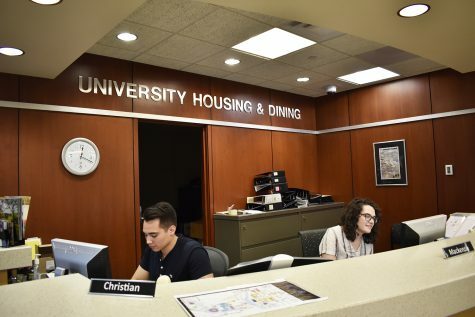 UISG Cabinet Director Kyle Scheer, who compiled the report, said voter registration, textbook affordability, election reform, and student relations were some of the most important initiatives that the organization undertook. The UISG Governmental Relations Committee focused on voter registration around the 2018 midterm election, resulting in at least 60 percent of the UI student population being registered to vote, according to the report. 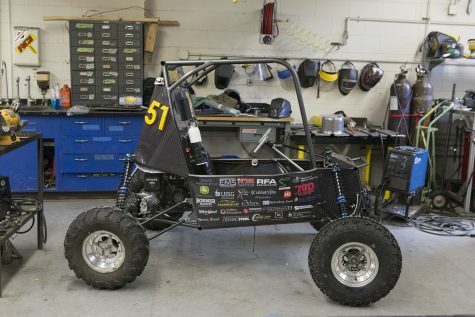 “We made a very big effort to partner with a variety of student organizations and campus partners in our efforts,” Scheer said. 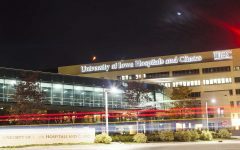 The progress report also noted that UISG plans to split its voter-registration efforts into an independent student organization called Hawk the Vote. 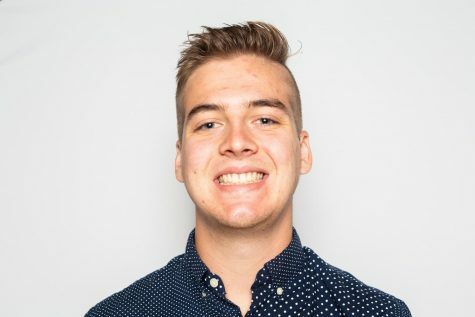 Voter-registration efforts take up a large amount of time for the Government Relations Committee, Scheer said, so UISG decided to create a separate organization specifically devoted to them. 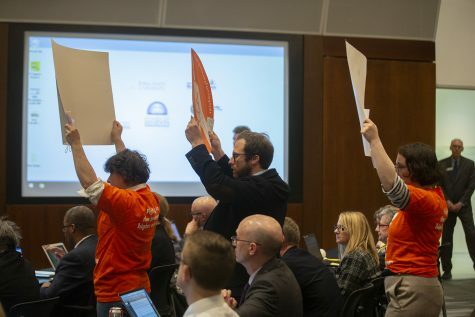 “Student government’s role would be to form a partnership with that organization to get them the resources they need, volunteers of they need them, but allow them to really have the autonomy and the resources to pursue voter registration,” Scheer said. Textbook affordability was another major focus of UISG in the fall, Academic Affairs Director Tristan Schmidt said. 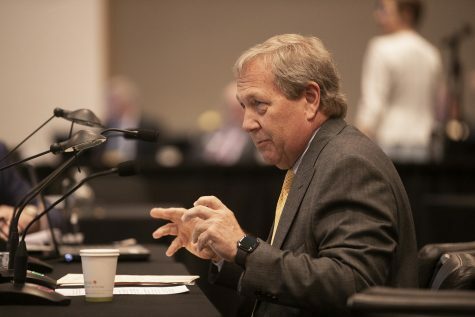 “For me, textbook affordability is a really big focus, because a lot of students face a lot of issues with textbook affordability,” Schmidt said. The Senate passed a resolution in support of ICON Direct, a service that allows students to access electronic copies of textbooks for free. 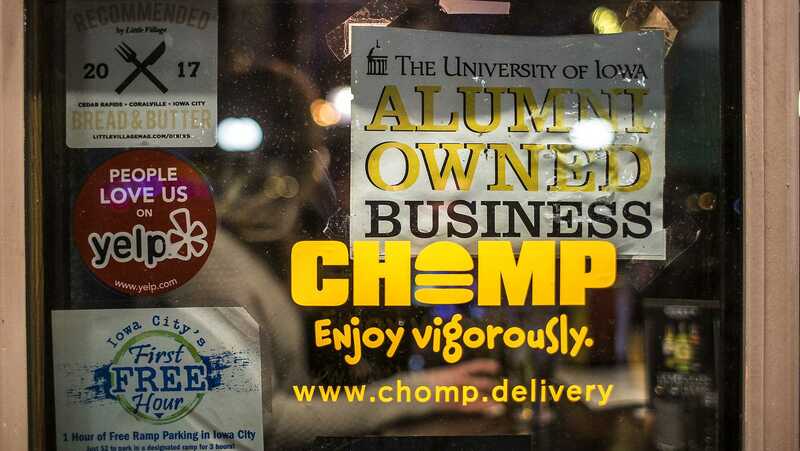 According to the progress report, UI students saved slightly more than $1.1 million in the fall of 2018 through ICON Direct. UISG also supported textbook-donation drives in the fall, and Schmidt said another drive will be held this spring. Most books collected at the drives are added to the course reserves at the Main Library, which are available to students for checkout. UISG began working on election reform in summer 2018, and the Senate passed a new election code in the fall. Scheer said the election reform focused on access to elections, campaign finances, as well as how candidates are penalized for breaking election code. The penalty for breaking election code used to be monetary, Scheer said, but candidates who break the new election code will lose votes instead. This was done in an effort to make sure candidates and parties with more money didn’t have an unfair advantage, he said. “The amount of money you have should not be a barrier to keep you from running to be a part of UISG,” he said. UISG Speaker of the Senate Connor Gronski said engaging the student population was a major focus of the organization in the fall, and it remains one this spring. 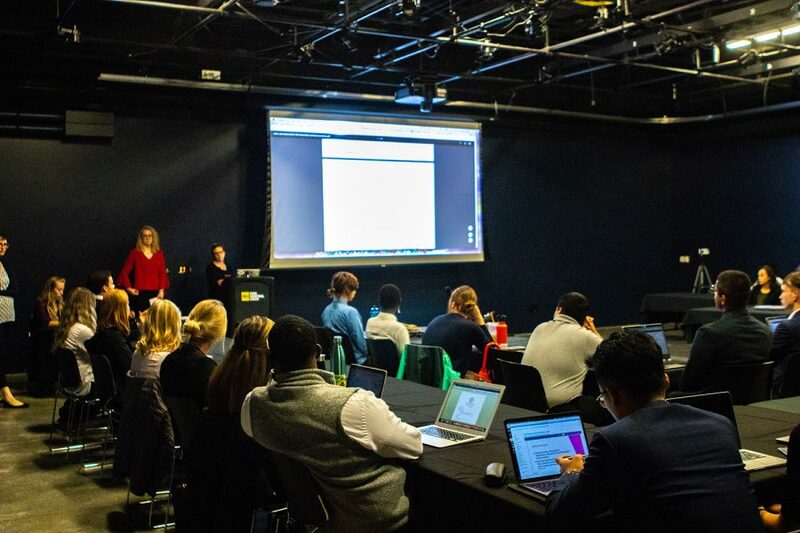 The progress report notes that UISG began live-streaming its meetings on Facebook and created a service in which students can sign up to receive text notifications on student-government matters. The organization has also added a public comment period for its meetings, Scheer said. The fall 2018 progress report can be found on UISG’s website.